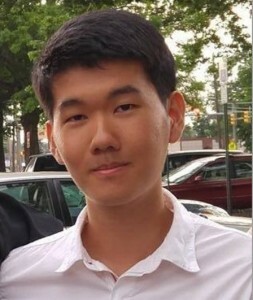 Jaeeun Kim was born in Korea and moved to Tenafly, New Jersey when he was 8 years old, and is currently enrolled in Bergen County Academies as 11th grade. Always being interested in serving the community and going onto the field of medicine, Jaeeun has been part of his town’s ambulance corp as an EMT. He enjoy outdoor actives, especially golf. As Jaeeun grew up he had a tunnel vision that marginalized and believed underprivileged populations were just in Africa and North Korea. However, as he became involved in school UNICEF and World Vision (currently a president of the club), Jaeeun learned more about demographics that need immediate attention. Although many organizations do humanitarian work in developing countries, it seemed like certain areas were not getting as much attention as they should be. Through research, he learned about the discrimination of Dalits in India. Jaeeun wrote the essay to understand the problem himself but also to spread awareness of these regions that are being more neglected. The elements of your essay that I like are the anecdotes you use to illustrate your points and the fact that you take a stand toward the end. The caste system continues to be a serious problem and much attention needs to be paid to it. Perhaps you will go on to help those condemned by the circumstances of their birth to have more opportunities. Jaeeun’s winning essay will be featured in our 2017 edition of DoveTales, An International Journal of the Arts.